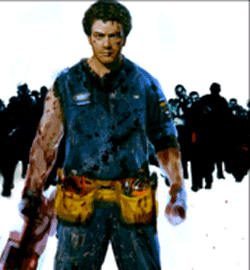 Dead Rising 3 will be set in California, star an auto mechanic called Rick, and tackle the subject of illegal immigration. At least according to the hard-nosed journo-types at Siliconera, who got the information, as well as what's supposed to be concept art of central protagonist Rick, from an anonymous source. I'd be tempted to believe them, they've covered virtual wars, you know. According to the report, Dead Rising 3 will be set in the town of Los Perdidos (Literally: "The Lost," subtle) a fictional town in California. Following the obligatory zombie outbreak caused by Dead Rising 2 antagonists Pehnotrans, orphan, and auto mechanic, Rick, along with the usual collection of scarcely cognizant survivors, have to restore an aircraft and escape the town before it's destroyed by a bomb. Dead Rising 2: Case West antagonist Marian Mallon makes a return, alongside a new villain named - and this sounds so like Capcom - General Hemlock. The illegal immigration angle comes from the story's focus on a group of "illegals," people infected with the virus and presumably dependant on Zombrex to keep it under control, who aren't registered with the government. That actually sounds rather interesting. Zombie fiction is known for its unsubtle social commentary, but this is Capcom we're talking about. If the game does tackle the theme of illegal immigration, I imagine it'll do so in the same way the original Dead Rising explored the complex ethical quandaries of photojounalism. What do we think, folks? Does this sound legit? Any bets on how long it takes for Capcom to give up on Rick and just throw Frank West in there instead?